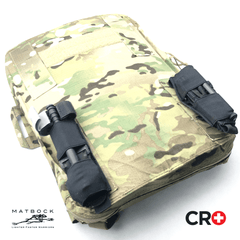 Build your own kit or customize based on your needs. 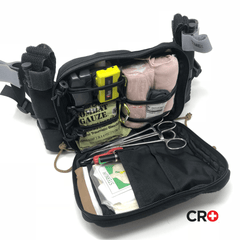 Fully adjustable bungee retention panel is perfect for everything from meds to custom procedure kits. See photo for NARC setup. Never have a loose vial again. 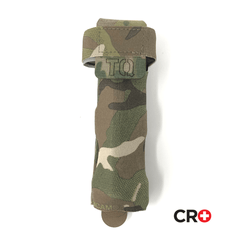 Designed to fit into a cargo pocket for medics that work off their body. 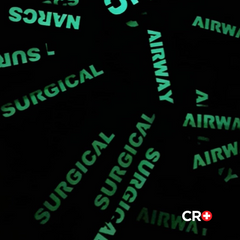 Since the release we have seen medics use for airway kits, bag organization, chest tube procedure, and medication administration. 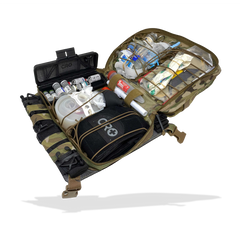 This is the answer to bag organization for the tactical medic. Made from SQUADRON Laminate.